Essay writing is an obligatory academic assignment, regardless of course of study and institution. However, few students find the essay writing process easy. Of course, practice makes perfect and by the time students hit their senior year in college, most of them can write an essay in their sleep. However, no one wants to learn from their own mistakes so knowing the most important dos and don'ts of essay writing will help make this experience less stressful and more productive. There is no universal template that can solve every college essay trouble. 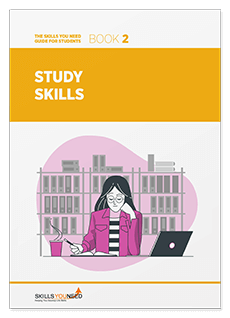 Because of the large number of essays that have to be graded, many instructors admit that they skim read essays to get an idea if a student is competent in the topic and how well they have adhered to the style guidelines. Therefore, it is a good idea to structure your essay so the key points are visible when skim reading and are clear enough to get the message across. Get rid of extra words and phrases, use clear constructions and stick to the point. A thesis statement is an important part of introduction and the essay in general, so it should never be neglected. The thesis statement should reveal the main idea of the essay in a concise format. Although it is an obligatory part of the introduction, never make your thesis statement the opening sentence of your essay. It is a good idea to place it at the end of the introductory paragraph so it serves as a transition to the main body of the essay. Sometimes paragraphs sound like separate pieces of text put together. This is the wrong approach to writing. Your essay should be smooth and coherent, leading the reader from one point to another. This is why you should use transitions – the phrases that help to connect each idea with the previous one, serving like bridges between paragraphs. Any example you use – from literature, scientific work, etc. - should be cited. Only examples from your own experience do not have to be cited. If you want to include mention of something that you have read, even if you are not using a direct quotation, it is best to reference the source of the information. This way, your examples will be more convincing and form more reliable evidence of the points you wish to prove. When writing literary reviews or essays based on literary works it is advisable to use present tense – historical present or narrative present, as it is called. It makes the storytelling more engaging and real, increasing the feeling of presence. The aim of an essay is to not only to reveal your knowledge of the topic, but to show your ability to choose appropriate vocabulary and show your language expertise. You should show that your vocabulary has progressed since high school. That means using advanced vocabulary and replacing ‘good’ and ‘nice’ with more appropriate synonyms to reflect the shades of meaning. The prompt of the essay is intentional. No matter how much you want to ‘go with the flow’ and write whatever your inspiration dictates, you should remember you are writing an academic assignment and, as long as it has a prompt, you should stick to it. If the prompt is complicated and consists of several parts, analyze your final draft and check if you covered every point of the essay prompt. Complicated sentences may be confusing, not only for the person reading and grading your essay but for the students themselves. Writing complicated sentences doesn’t indicate elaborate writing style. Rather it may show your inability to convey information in a simple and readable format, or to break the sentences in a logical way. What’s more, complicated sentences increase the risk of grammar errors and stylistic mistakes. Famous writers, like Hemingway or Fitzgerald, wrote simply and that didn’t make their writing any worse. A good essay is not about style and formatting, of course, but style influences the first impression your paper makes. First and foremost, professors want to see the correct essay style and structure depending on the topic and essay type students have to tackle. In many cases, the style meant to be used in the essay is laid out in the directions or has been established beforehand. You may easily figure out the style based on the type of essay. The language you use in the paper indicates your ability to research and analyze the topic, prove your opinion, and explain your points clearly and vividly. Before you hit ‘Save’ and print the final version, check your essay thoroughly to avoid spelling mistakes, typos and incorrect sentence constructions. Apart from language mistakes, check if you followed all the requirements: number of words/pages, text formatting, essay structure, etc. See our page: Assignment Finishing Touches for more information. Now that you’ve learnt the major Dos, let’s move to some Don’ts – the things you’d better avoid in essay writing. Though essays should be meaningful and detailed, learn to filter the information and choose only important points. There is a temptation to include every single detail of your research to make the essay holistic and complete. However, your aim is to narrow the topic, show that you are able to analyze and structure information, and choose only the most relevant facts to prove your points. No matter what your style and formatting requirements are, you should not forget to pay attention to the following points: paper size, spaces, font size, margins, and page numbers. Also do not forget about narration types. For example, narrative essays tell stories from first person while persuasive or argumentative essays require that you leave emotions out and base your views on the solid facts, so no first person narration is appropriate. While using set phrases, avoid overwhelming your essay with clichés. Remember that not all clichés are good for every type of essay. What's more, professors expect your work to be original and truly value students with fresh ideas and views. Also, beware of using informal language. This doesn't mean that your writing should be reminiscent of a scientific thesaurus rather than real speech, but academic writing requires a certain level of formality. See our page: Avoiding Clichés for more. Although typos do not indicate your language proficiency or grammar knowledge, they may show your professor that you are not attentive enough or do not care enough to proof read your essay. Submitting a paper that looks like a draft can be interpreted by a professor as disrespectful. Though spell checkers are good way to automatically proof read your writing, don’t rely on software alone. These programs may miss a lot of spelling errors that that human eye will definitely notice. So, take time to proof read your essay. It is better to print out the final version on paper as spelling mistakes can be missed when reading from the screen. It is a good idea to ask someone else to have a fresh look at your essay and to proofread it for spelling mistakes. This rule should be clear for every student. Plagiarism is a form of cheating, and when detected it is always punished. Do not risk your reputation and your place in higher education. Plagiarism is easily detected today with the help of software and Google, so be honest with yourself and your educators and write on your own. Reference every source to make sure you are not committing plagiarism, even unintentionally. It is a good idea to ‘know your enemy’ and read about the kinds of plagiarism possible and best ways to avoid it. See our page: Academic Referencing for more information. No matter what type of essay you are writing, academic writing rarely reveals the author nor engages in the conversation with the reader. Addressing the reader is more a mark of fiction than an academic essay. While writing a college essay you should be detached, objective and analytical rather than appeal to the reader’s emotions and personality. The introduction has to present the main idea of the essay and reveal what you are going to talk about. Negative language doesn’t mean vulgarisms. It means words with negative suffixes, phrases with negation, etc. For example, painless is not a negative word in its meaning. However, using it makes the reader focus on pain instead of its absence. So it is better to replace so called negative language with more positive, synonymous expressions, like using economical instead of inexpensive, or comfortable/pleasant instead of painless. When writing an essay you should walk a fine line between presenting a clear idea of the established knowledge and proving that you understand it well enough to make an independent assessment. Show your professor your ability to format an essay correctly, choose the right style, express your point of view and prove it with facts. Learn to balance the form and meaning and essays will no longer be challenging for you. Tracy Collins is a writing instructor, education enthusiast and author.